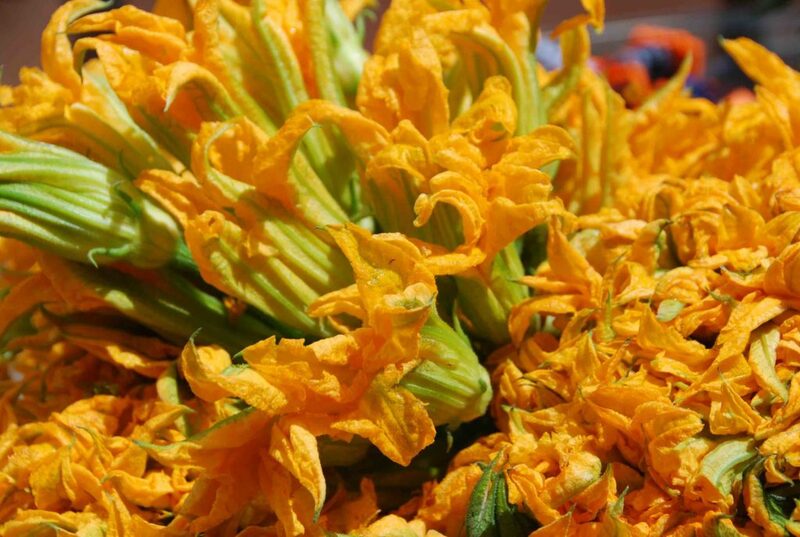 Squash blossoms are considered a true delicacy in Mexican cuisine. Available in rainy months, they fly out of the markets as soon as they are set on the floor mats and stands. No wonder they are such a hot selling ingredient: They are gorgeous looking, with orange and green Fall colors, a velvety texture, a meaty and crunchy bite and a delicate and exuberant flavor. Since they are also commonly used in Mediterranean cuisine, aside from finding them in the US in Latin markets, one can find them at Italian grocery stores. But one can also find them during the summer season in some grocery stores and Farmer’s markets. I was so excited to find them so fresh in Mexico last weekend, that I took many photos. I have to say, one can buy 10 pounds of flowers for the price of what one pays here, but oh well. Also, in Mexico they sell them already completely bloomed. Though they taste much better when fresh, they have to be used quickly as they wilt fast even inside of the refrigerator. But they can also be found canned, and they do taste good as well. To use them fresh, remove the lower part of the stem and rinse them thoroughly. I use all of the flower and upper stem, though some cooks do remove the green sepals. 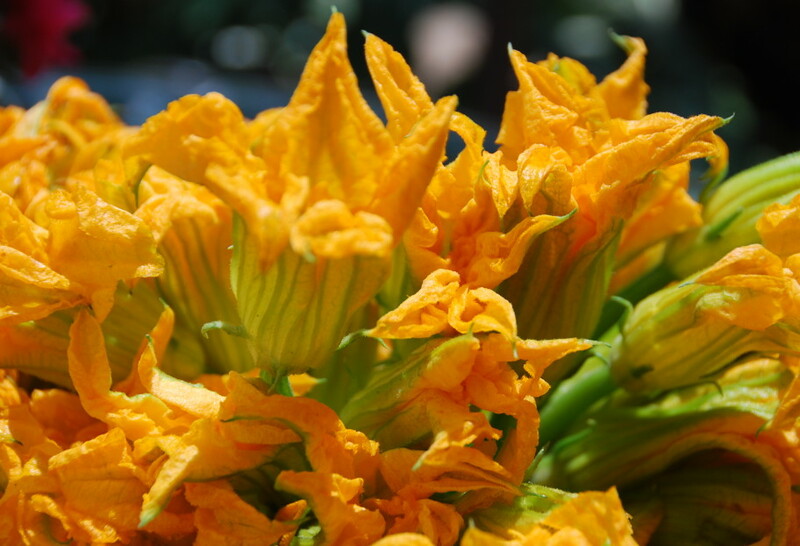 Squash blossoms tend to be paired with one or another fresh Chile, typically the Poblanos, and many times corn. Muchas felicidades por tu exito! Very much enjoy your blog, info, stories and insights. I volunteer at a museum bistro near Seattle. On Mondays I make Mexican food, my favorite quisine. This last Monday we made tlacoyos with black beans, tomato salsa, squash blossoms, crema and goat cheese. Soo good. Thanks for your good words and recipes. I’m a fan. Those tlacoyos sound SO GOOD!Thank you so much for your kinds words, George. I love them that way! 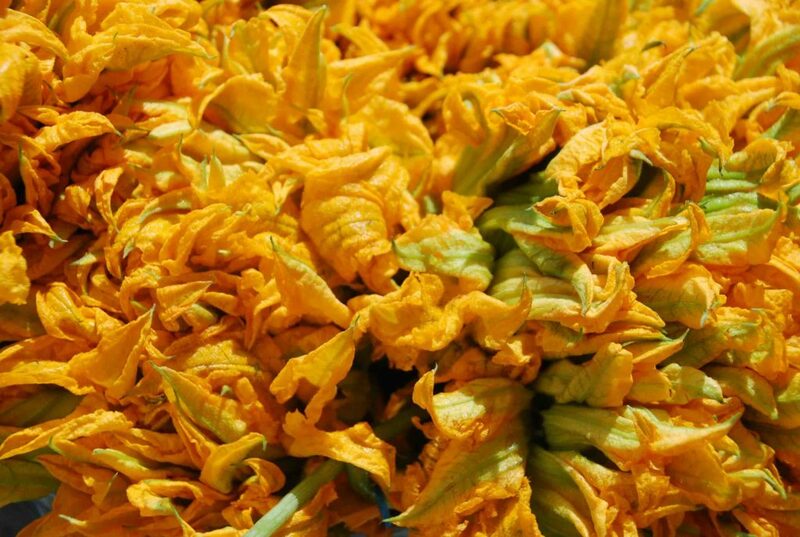 Do you have a recipe for quesadillas con flor de calabaza?